Car crashes are the most frequent cause of injury and injury-related deaths in children. Infant and child car seats have reduced these injuries by nearly half since 1997, but these seats are only effective if they are used properly. Make sure you have the right car seat for your child's age and size. Each type of seat will have different height and weight recommendations, so it is important to carefully read the product information that is provided with your car seat. A certified child passenger (CPS) technician can help with your selection. Visit the National Highway Traffic Safety Administration website (https://www.nhtsa.gov/equipment/car-seats-and-booster-seats) to search for a technician in your area. There are two main categories of seats: rear-facing and forward-facing. Other categories include convertible, combination, 3-in-1, and booster seats. Babies should remain rear-facing until they reach the highest height and weight allowed by the car seat's manufacturer or until they are 2 years of age. Harness straps should be at or below the baby’s shoulders. Harness chest clips should be at baby’s mid-chest level. Again, follow the manufacturer's height and weight requirements and limits. The seat must face rearward only and recline at the correct angle so that the baby's head does not flop forward. Many seats have an angle indicator or can be adjusted to the correct angle. A seat with more than one set of slots and adjustable buckles and shields gives room for your baby to grow. After outgrowing their infant seats, babies can ride rear-facing in convertible seats. 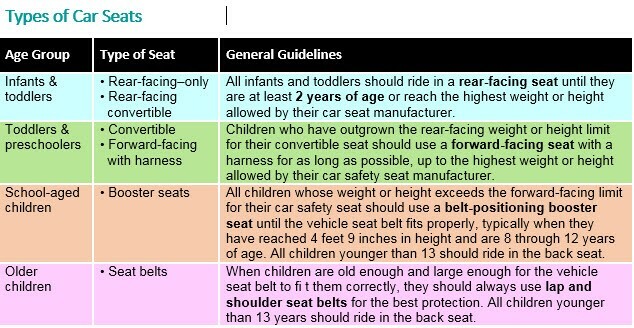 Children should ride in a forward-facing seat that has a harness until they reach the highest weight or height allowed by the car safety seat manufacturer. Shoulder straps should be at or above your child's shoulders. Some convertible seats require the straps to be in the highest slots. Check your seat's instructions. The seat belt should go through the seat's forward-facing belt path. Convertible seats can be used as both rear-facing and forward-facing seats, depending on the baby’s height and weight. They are bigger than rear-facing infant seats and can be used longer. Follow the AAP's recommendations for keeping babies rear-facing as long as possible. If your child is riding in a convertible seat, they can be turned to face forward after meeting the AAP's guidelines. Check the seat's instructions to see if the recline angle of the seat needs to be adjusted. 3-in-1 seats can be used as rear-facing, forward-facing, or as a booster seat. This allows longer use of the seat as your child grows. They do not have a carrying handle or separate base, but are good because they may have a higher weight for rear-facing children (up to 40-45 pounds). Since they are bigger, make sure that the seat fits in the vehicle properly. Combination seats have a removable harness that allows the seat to function as a booster. Combination seats cannot be used rear-facing. They can be used with a harness for children who weigh up to 40-80 pounds or without a harness for children who weigh up to 80-120 pounds. If your child is using the seat without a harness, follow the recommendations for booster seats. Backless boosters are used with car seat belts (lap and shoulder). The seat raises the child so that the seat belt fits properly. They can be used in cars with headrests and high seat backs. High-back boosters are useful in cars that lack headrests or have low seat backs. The AAP recommends against the use of extra products to use with the seat unless they came with the seat. The lap belt should lie low across your child's hips and pelvis, and fit snugly. The shoulder belt should cross the middle of your child's chest and shoulder when they are sitting back. Continue to place your child in the booster seat until he or she is large enough to fit correctly into an adult seat belt. This is usually when they are about 4 feet 9 inches tall and 8-12 years old. Keep in mind that price does not indicate that a certain car seat is best or safest. The safest is the one that works best for your child. Here are some things to look for when you are shopping for a car seat. Make sure that the car seat fits your child’s size and weight. The car seat has to install easily and fit correctly in your vehicle. Try out the seat before purchasing. Adjust all straps and harnesses, checking them for ease of use and security. Put the seat in your vehicle and make sure it fits. Read the instructions carefully. Illustrations and displays in stores do not always show correct use of the car seat. After purchasing and installing the car seat, send the registration card to the manufacturer so that you will be notified if there are problems or recalls. Is too old—Contact the manufacturer for recommendations on how long the seat can be used. Check the label on the car seat for the date when it was made. 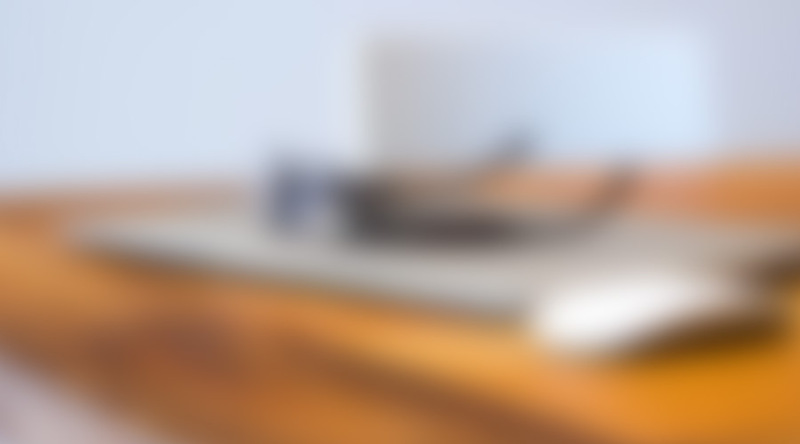 Is lacking a manufacturer date and model number—these allow you to check for recalls. Does not have an instruction manual. Has cracks in the frame or seat or is missing parts. Was in a moderate or severe crash. Was recalled—Contact the manufacturer or the Auto Safety Hot Line (toll free) at 1-888-DASH-2-Dot (1-888-327-4236). You also can check at the National Highway Traffic Safety Administration (NHTSA) website. What is the safest place to position the car seat? The safest place to ride for all children younger than 13 years old is in the back seat. If possible, it may be best to ride in the middle of the back seat, but it is sometimes difficult to install a car seat tightly in the middle if the vehicle seat is narrow or uneven. Also, most vehicles do not have lower anchors for the middle seating position. It is safest to put the car seat in a position where you can install it tightly with either the lower anchor system or seat belt; in some cases, this may be on either side of the back seat rather than the middle. A child passenger safety technician (CPST) can help you decide which place is best to install your child's car seat in your vehicle. Always use a car seat when transporting your infant or young child. Read car seat instructions and vehicle owner’s manual before using the car seat. Keep all instructions and owner’s manuals. If you lose them, call the manufacturer or look on their website. Children should ride in the back seat. Never put a child in a rear-facing car seat in the front of a vehicle with an airbag. For vehicles with side airbags, read the car seat owner’s manual for instructions on where to place the car seat. Always make sure that the child is snugly buckled into the child car seat. Use the correct harness slots and make sure the straps lie flat. Always make sure that the car seat is securely attached to the seat of the vehicle. Push on the car seat where the seat belt passes through. It should not move more than one inch in any direction. If you cannot get the belt tight enough, use another set of belts in the vehicle. Make sure seat belts can be locked into position; check your vehicle owner’s manual. If not, you may need to buy a locking clip. If the seat is not reclined enough, your baby’s head may flop forward. Check the manufacturer's instructions for your seat to determine the correct angle. Never use a car sear outside of the car. Car seats are designed to be securely-positioned in a vehicle. Falls can happen when a baby is placed in a car seat outside of the car. For example, if the seat is placed on the ground or on a table, the baby could fall and be seriously injured. Your local police or fire station may have a program that offers a check on car seats to make sure they are properly installed. Check with your local officials. Car seats may be installed with either the vehicle's seat belt or LATCH (lower anchors and tethers for children) attachment system. Most cars made after 2002 are equipped with the LATCH system, which offers additional protection. Check with your car dealer if you have questions. and is important to use for all forward-facing seats, even those installed using the vehicle seat belt. The seat belt and LATCH systems are equally safe, but in some cases it may be easier to install the car seat using one or the other. Vehicles with the LATCH system have lower anchors located in the back seat, where the seat cushions meet. Tether anchors are located behind the seat, either on the panel behind the seat (in sedans) or back of the seat, ceiling, or floor (in most minivans, SUVs, hatchbacks, and pickup trucks). 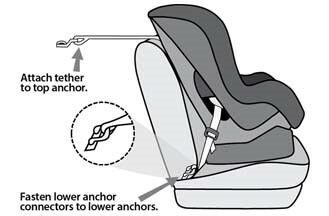 All car seats have attachments that fasten to these anchors. You must make sure the seat belt locks to help get a tight fit. In most newer cars, you can lock the seat belt by pulling it all the way out and then allowing it to retract to keep the seat belt tight around the car seat. Additionally, many car seats have built-in lock-offs to lock the belt without having to separately lock the seat belt as well. Refer to the vehicle owner's manual for details about how your seat belt locks. NHTSA has a list of certified CPS technicians who can help you with any questions you may have about the proper installation and use of child safety and booster seats. A list by state or ZIP code is available on the NHTSA website. There are also inspection stations where you can get instruction on proper installation. The list is available in English and Spanish. Many states have laws in place regarding age and weight limits for child car seats and boosters, so be sure to check your state’s regulations. If you need guidance on purchasing a car seat or the next step in seat for your child, Dr. John Bouldin is available. To schedule an appointment, call the practice at (540) 772-3400 or click to book an appointment online below.